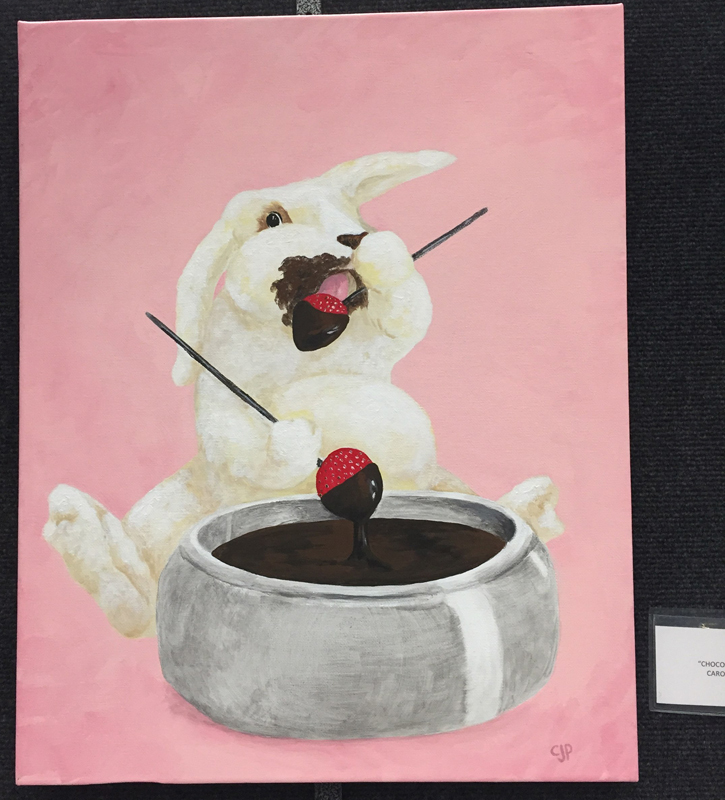 Our 2019 Choco l’Art show is the perfect melding of chocolate and art! Enjoy the taste sensation! This our 8th Annual celebration of the theme! All forms of hanging art are welcome – photography, watercolors, acrylics, oils, fabric art, drawings, etc. The art must be wired to work with our panel system. The art doesn’t have to be about chocolate. It can be about anything you wish :). 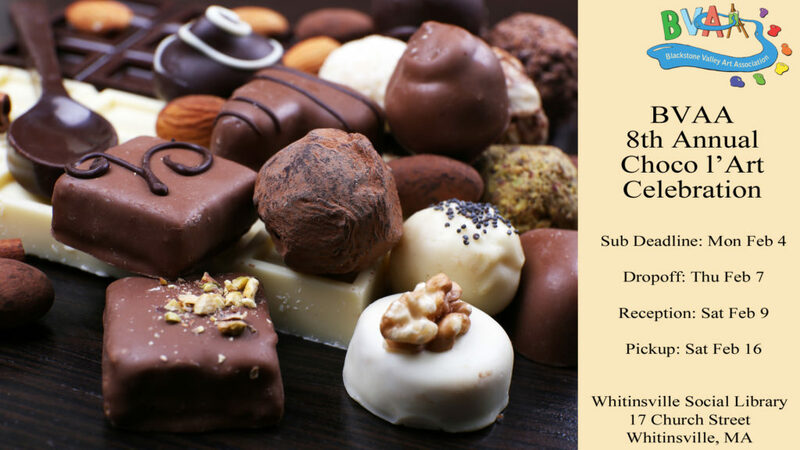 The drop-off for Choco l’Art is Thursday, February 7th from 10am to 2pm. We’ll be setting up the panels during that time and will hang things as we get close to 2pm. If you can’t make that timeframe, let us know and we’ll arrange another time to coordinate – maybe you can drop off at the gallery the previous Saturday and we can take it in from there, for example. The reception is on Saturday, February 9th from 10am to 2pm. All are welcome! There’ll be lots of chocolate in all shapes, sizes, and varieties. Artists – please bring in some chocolate of your own to share (no nuts please). Pick-up for the show is Saturday, February 16th from from 1pm to 2pm. Note the library closes at 2pm. This show has the visitors vote on a “People’s Choice” award. There’s a ribbon plus a cash prize. The prize amount is based on the number of entries. You can do a romantic theme or a chocolate theme if you’d like, but it’s not required! * Watching over the reception for time blocks of your choice between 10am and 2pm on Sat, Feb 9th. Here’s what Carole did for 2018 :). 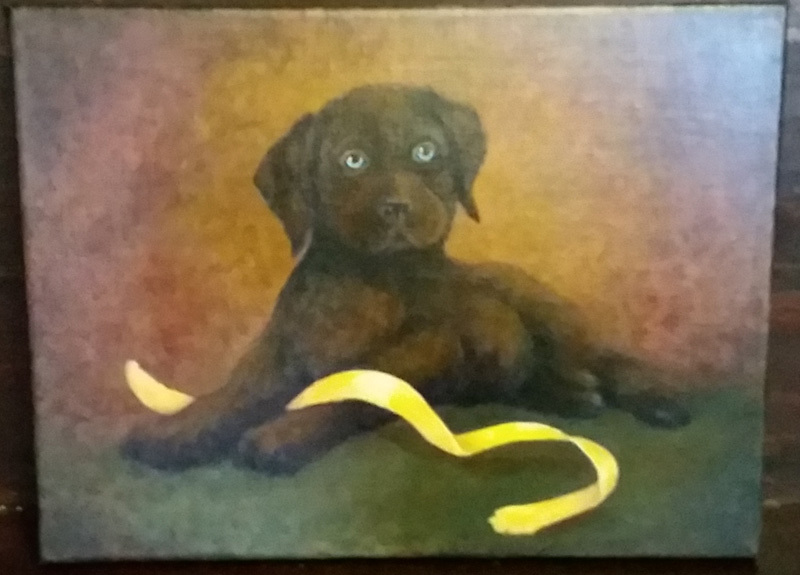 Is this Choco l’art show just for paintings, or are photographs entered as well? It’s for all hanging forms of art – anything that can hang on a panel. I’ll update the page to make that more clear!